Instagram has just announced a new short video feature which would allow users to capture and upload videos of 15 seconds to the service. Like it's normal photo service, users would also be able to apply filters to their videos. This announcement is more or less a reaction to Twitter's popular Vine short video service which allows its users to record, upload and share short clips of six (6) seconds with other users. 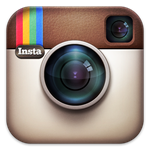 Instagram has over 130 million users, with 16 billion Photos uploaded and 1 billion Likes.